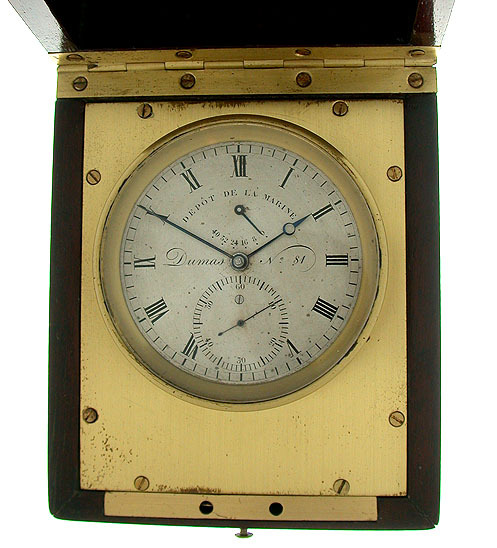 Fine and scarce French pivoted detent boxed deck watch by Onésime Dumas, Paris, circa 1840. 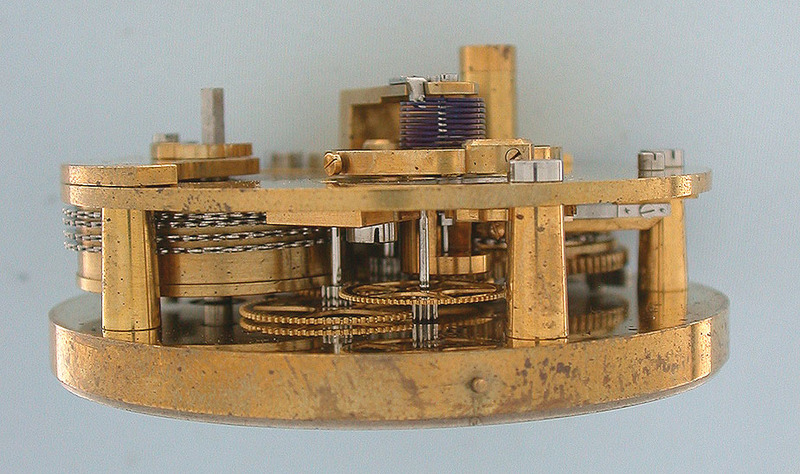 Silver dial with large subsidiary seconds and winding indicator Spotted full plate fusee movement with helical hairspring. 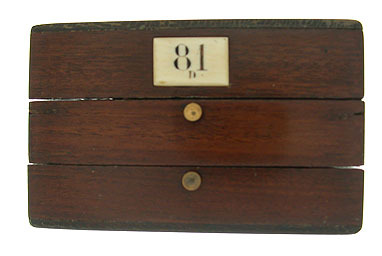 Three tiered wooden box. 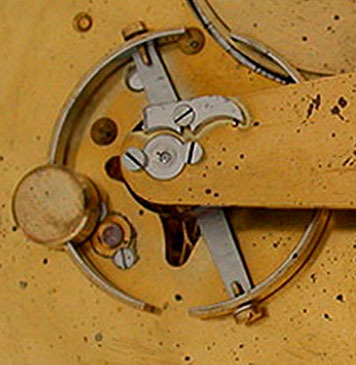 Dumas comes from a distinguished chronometer background. 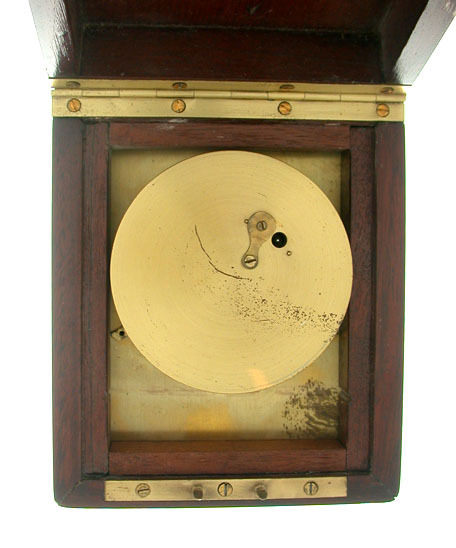 He was the nephew of Henry Motel and the pupil of Louis Frederick Perrelet. 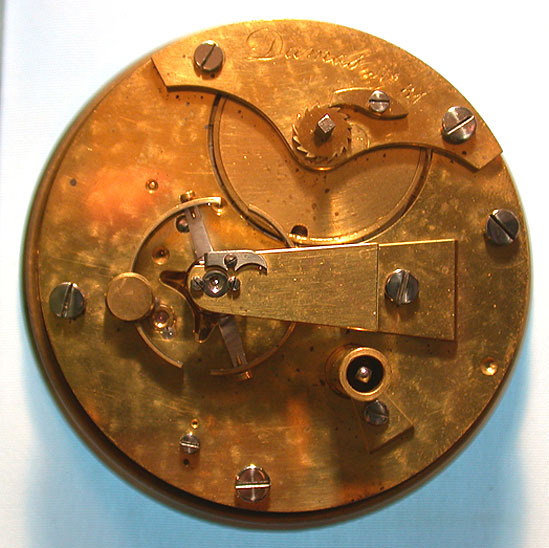 He exhibited works of precision horology in 1856 in Rouen and chronometers in 1857 in Paris.